We understand that as one of the nation’s leading trial law firms our continued success depends on our most important asset – our people. This is why Burg Simpson is committed to attracting, employing, and retaining individuals of the highest caliber who are committed to sharing our core values. Burg Simpson fights for peoples’ legal rights and holds negligent corporations and individuals accountable for their actions. We offer exceptional careers and opportunities to attorneys, aspiring graduates and support professionals in an environment that is challenging, rewarding and, we believe, truly different from our competitors. Current employment opportunities will be listed as they become available. We are Good Lawyers. Changing Lives.® Join our team. 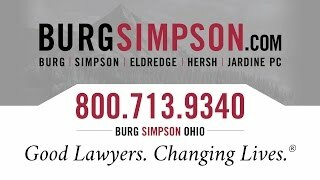 Burg Simpson is a law firm with more than 60 trial lawyers operating out of seven offices in Colorado, Arizona, Ohio, Wyoming, New Mexico, and Florida. With dozens of paralegals and an experienced support staff, we are able to offer legal representation anywhere in the country. We are convinced that all any of us really have is our good name. 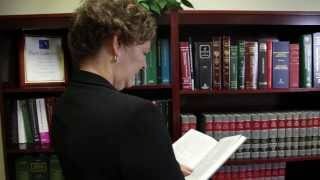 We have worked long and hard to build a reputation as an honest, committed law firm. We are dedicated to fight for anyone’s legal rights and hold negligent corporations and individuals accountable for their harmful actions—or inactions. At the end of the day, we simply want to be “Good Lawyers. Changing Lives®.” We do what we do to change peoples’ lives for the better by fighting for them in court and getting fair compensation for their injuries. It is also important for us to give back to our local communities and work closely with more than a dozen charitable organizations because doing right is better than doing well. Our attorneys have been named as national lead counsel and earned federal court appointments in several cases, such as: YAZ/Yasmin®, Pradaxa®, Ortho Evra®, Gadolinium-based contrast agents, Heparin, DePuy ASR®, Bextra/Celebrex, Zyprexa®, and testosterone replacement therapy. Over the last 40 years, we have earned more than $1 billion in verdicts, settlements, and judgments, while securing more than 200 individual recoveries in excess of $1 million each.